Self Exposed is a non-fictional account of Biblical theology that encompasses many traditional doctrines of Christianity, the thrust of which is to focus readers on the fundamentals of salvation and the need for followers of Christ to mature spiritually in their daily walk of faith. It focuses on Jesus’ paradoxical statement to His disciples and would-be followers to deny themselves and carry a cross, the obedience of which is shown to play a pivotal role in the daily transformations of an ungodly nature to a Christ-like nature. It maintains that obedience to Christ’ directives of self-denial and cross carrying fits well in the topics of following Christ, maturing spiritually, being transformed by the renewal of the mind, becoming a new creation, all of which are applicable to the sanctification of every believer. Self Exposed shows that transformations of an ungodly, selfish, prideful self can be changed into a godly, altruistic, humble self with the assistance of the Holy Spirit’s power and the believer’s identification with Christ’s passion of death, burial and resurrection. It intertwines short allegorical stories, word pictures and instructive graphics with the text in order to illustrate the dynamics of an inner self and to facilitate the reader’s understanding of these spiritual intangibles. 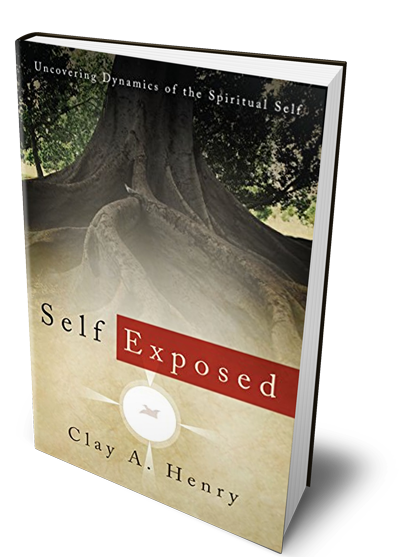 Self Exposed is a biblically based book written for believers and non-believers alike who harbor feelings of incompleteness and unrest in their personal and spiritual lives by providing the means to shed their negativity, separate themselves from any internal and external barriers that impede the development of godliness and lead a joyous life.